Back in 2002 I repaired the deck on the TreeHouse, adding concrete footings and replacing the four concrete-filled iron support posts with 6×6 wooden posts, and adding three 4×4 support posts across the center of the 16-foot span. I replaced the railing around the entire deck, tore up the original decking and replaced it, then built a lattice skirt around the entire deck. It took me the entire summer (actually, April to October), but it was done in such a way as to allow us to use the deck for most of the summer during reconstruction. 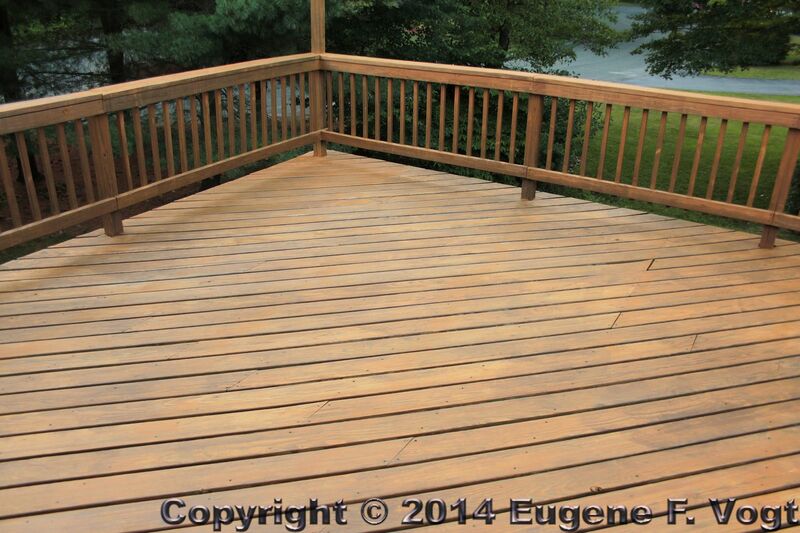 Every year or two after that, I also stained and sealed the deck with Thompson’s Waterseal (Honey Gold) to preserve it and help it to look good and last. The past 4-5 years I’ve neglected deck maintenance, and it showed. It wasn’t rotting or anything (I built it with pressure-treated lumber), but it was looking weathered and, well, old. Add to that the fact that when I had sealed the deck with Thompson’s, I did just the “inside” of the deck, not bothering to stain and seal the outside-facing wood, so it looked like crap from the yard or the street. 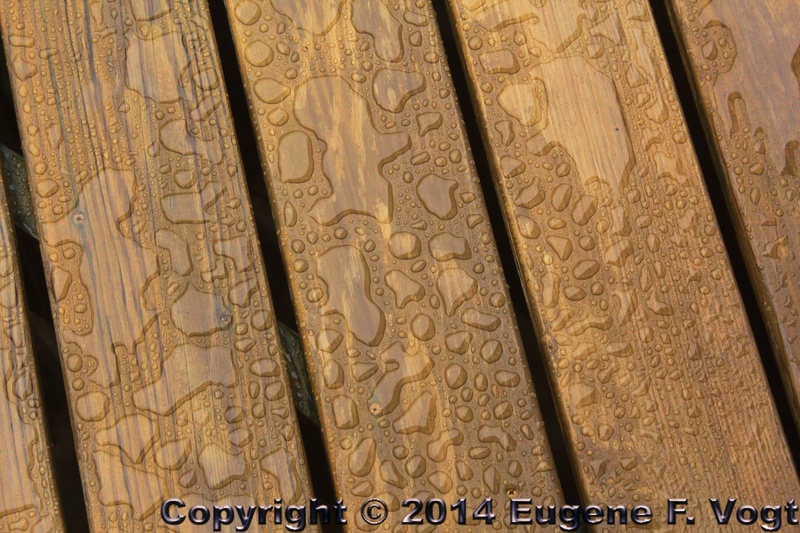 It was time to take care of ALL the wood on the deck. A few weekends ago, after clearing the deck of its usual accoutrements (deck table, chairs, grille, plastic storage bin, hanging plants, hanging plant drip watering system, outdoor sound system, etc.) I fired up my 6.25 HP 2550 PSI power washer and power-washed the entire deck; railings, balusters, decking, etc., and the following weekend I mixed up batches of TSP, bleach, and water (1 cup of TSP, 1 quart of bleach, 3 quarts of water), and scrubbed the daylights out of all surfaces to kill any mildew and clean the wood. 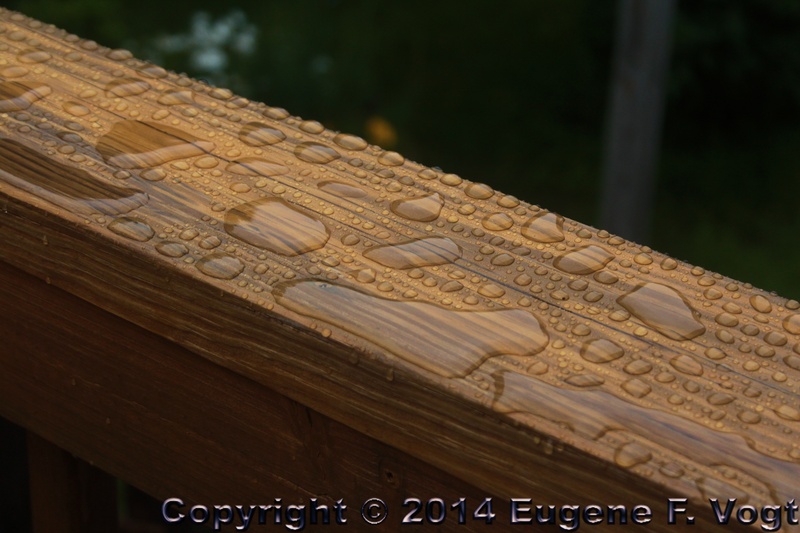 This past weekend, I spent two days hiking up and down ladders, staining and sealing the inside AND OUTSIDE of the railing (52 feet of railing, with a gazillion balusters), and Monday I left work early to stain and seal the walked-on decking surface. Boy does it look nice again! Now it’s time to put the deck “back together” (put the table and chairs and grille and storage bin back, remount and rewire the Bose 151 SE indoor/outdoor speakers, reconnect the drip watering system and rehang the potted plants) so we can finally use and enjoy it like we usually do. I can’t wait. 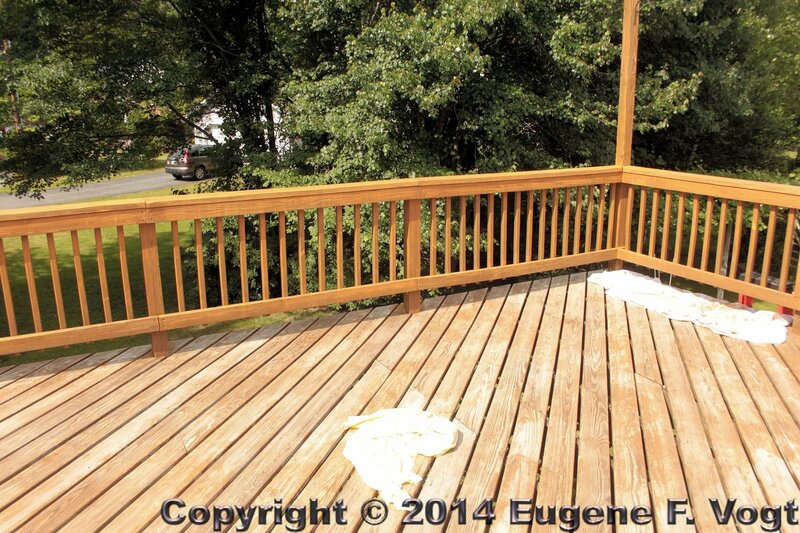 The Thompson’s Waterseal stain and sealant I applied to the deck before escaping to Maine for a week seems to be working…. This entry was posted in House, Summer, Woburn. Bookmark the permalink.